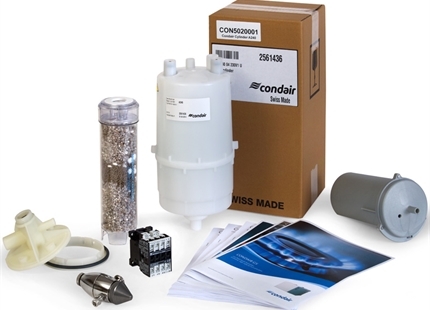 Our containers are "plug & play"
Any humidification system is only as safe and hygienic as the maintenance concept that supports it. 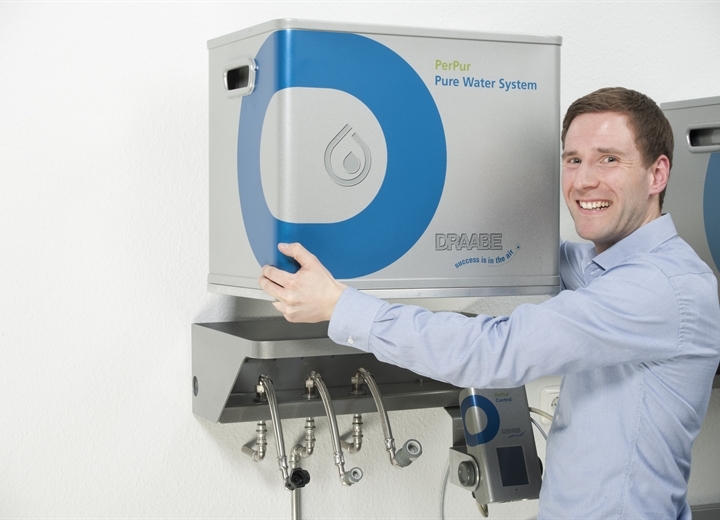 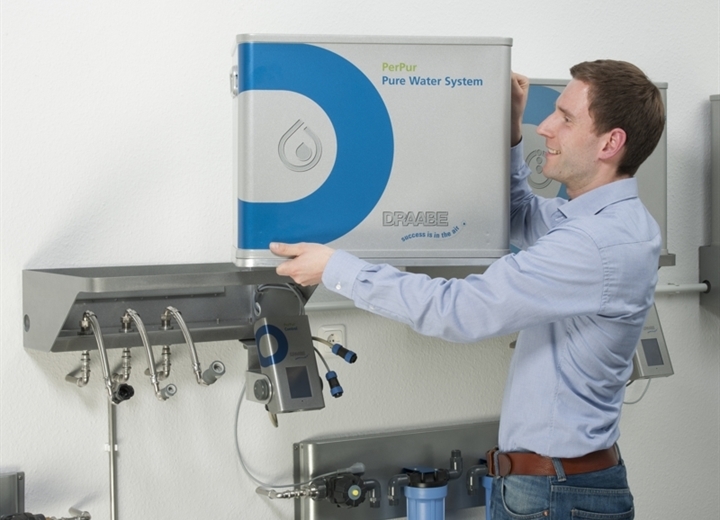 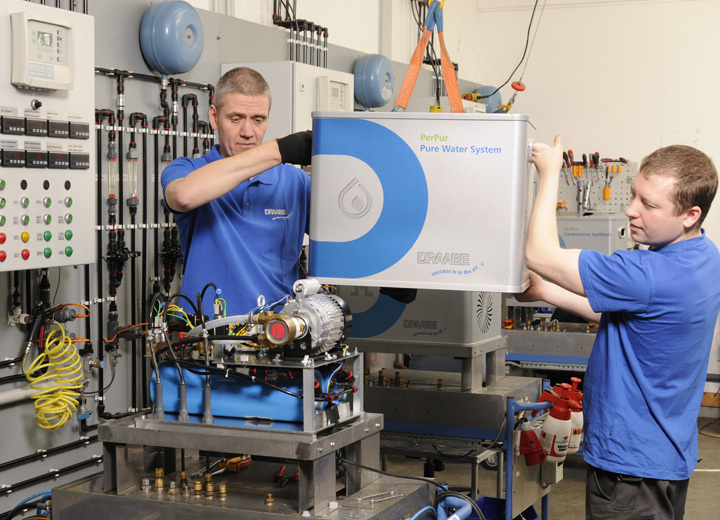 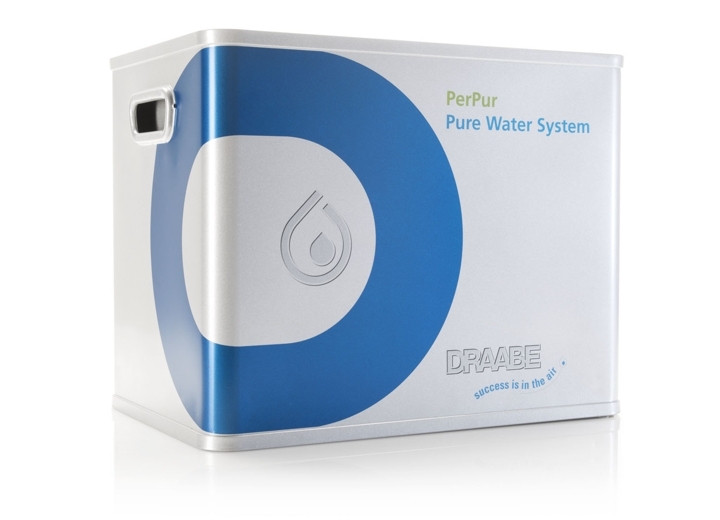 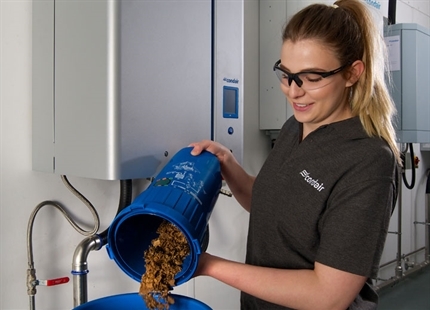 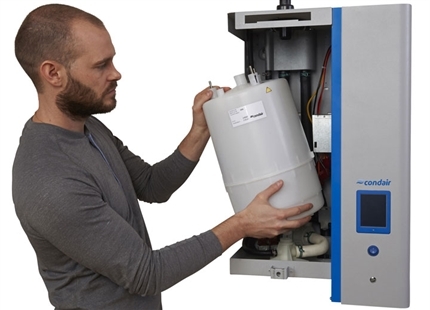 Our DRAABE systems for water treatment are built into exchangeable small containers, available for lease to our customers, to make maintenance as simple as possible. 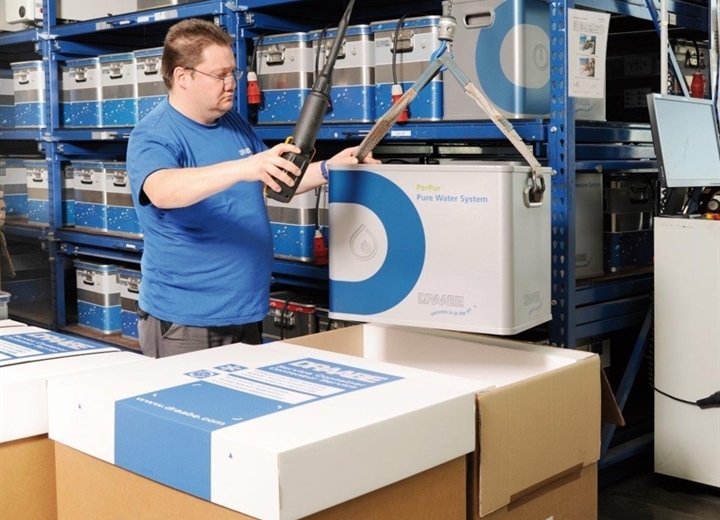 Condair customers with DRAABE systems automatically receive fully serviced and disinfected exchange containers every six months as part of our full service lease package. 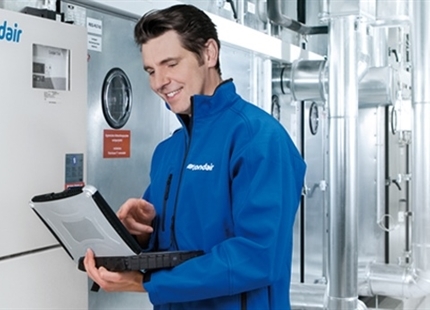 All costs for hygiene inspections, disinfections, replacement parts or malfunction incidents are included in the full service package. 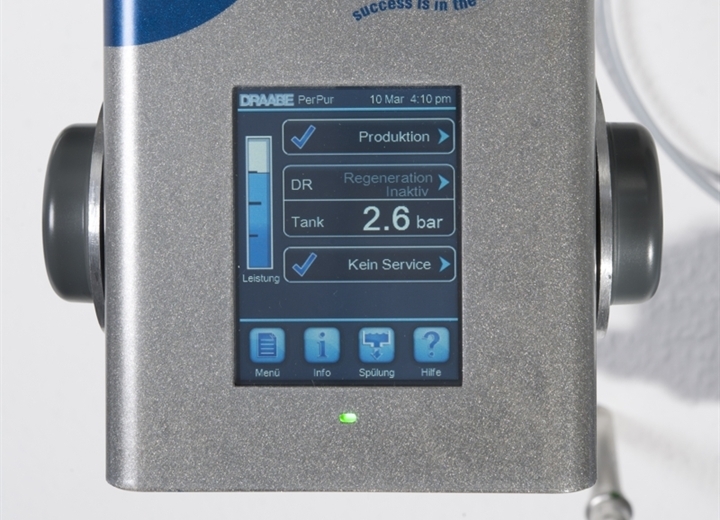 In addition, technical innovations and updates will automatically be updated so that each DRAABE system can grow with you and will never get old. 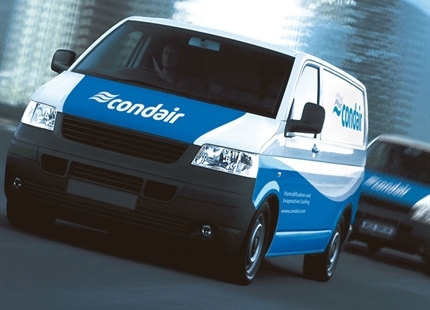 Condair customers with DRAABE systems never need to concern themselves with meeting regulations concerning occupational safety and hygiene: Hygienic measures and inspection intervals required by the VDI are also covered by the DRAABE full-service package and verified by the VDI certificate. 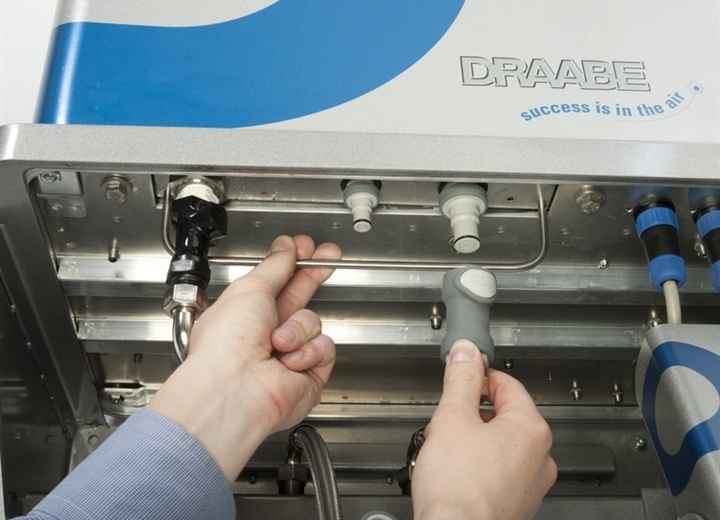 Our full service package for DRAABE systems guarantees 100% operational safety, hygiene and economy. 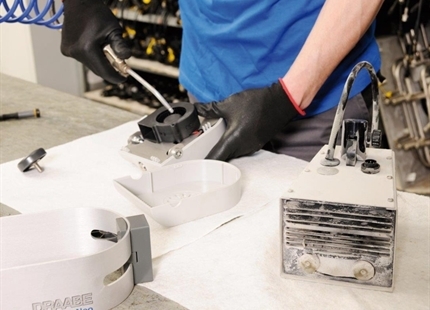 Our customers are invited to sit back and relax, while we take care of all the servicing.